In addition to all 14 episodes, the DVD and Blu-ray include mini-commentaries on all episodes by creators Trey Parker and Matt Stone, never-before-seen footage and deleted scenes. "SOUTH PARK" KICKS OFF 15TH SEASON! 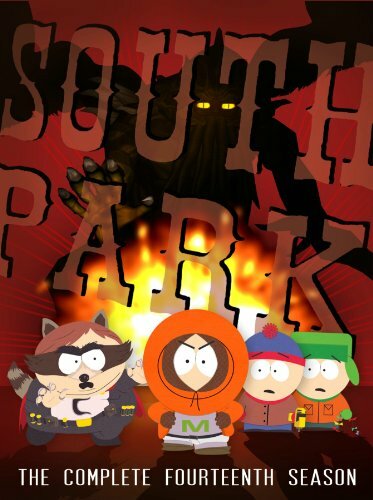 NEW YORK, April 12, 2011 – The foul-mouthed fourth-graders of "South Park" are back for their 15th season with seven all-new episodes beginning Wednesday, April 27 at 10:00 p.m. ET/PT on COMEDY CENTRAL. On Tuesday, April 26, South Park: Complete Fourteenth Season will be released nationwide on DVD and Blu-ray by COMEDY CENTRAL Home Entertainment and Paramount Home Entertainment. In addition to all 14 episodes, the DVD and Blu-ray include mini-commentaries on all episodes by creators Trey Parker and Matt Stone, never-before-seen footage and deleted scenes. Launched in 1997, "South Park," beginning its 15th season, remains the highest-rated series on COMEDY CENTRAL. "South Park" repeats Wednesdays at 12:00 a.m., Thursdays at 9:30 p.m. and Fridays at 8:30 p.m.
Co-creators Trey Parker and Matt Stone are executive producers, along with Anne Garefino, of the Emmy® and Peabody® Award-winning "South Park." Frank C. Agnone II is the supervising producer. Eric Stough, Adrien Beard, Bruce Howell, Vernon Chatman, Bill Hader and Erica Rivinoja are producers. "South Park's" Web site is www.southparkstudios.com.